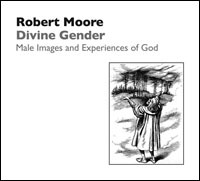 Part of the 1991 course set, The Experience of the Divine. Jung’s psychology is unique in its high regard for religious ideas and images, but, above all, Jung emphasizes the profound importance of religious experience—the experience of the divine. His theory takes account of the psychological dynamics that occasion this experience, and his conceptualization helps us to understand and desccribe the experience without reducing it to a cause other than itself. This course examines the correspondence between Jung’s theories and the human experience of the divine, thereby helping us to understand and appreciate the mysterious workings of the religous function of the psyche.